The following describes the cookies we use on this site and what we use them for. Google Analytics. We use this to understand how the site is being used in order to improve the user experience. User data is anonymous. You can find out more about Google’s position on privacy as regards its analytics service at http://www.google.com/analytics/learn/privacy.html?hl=en. Google Analytics Demographics and Interest Reporting. In addition to the standard anonymous data collected by Google Analytics, we may also utilize Google advertising cookies and anonymous identifiers. These additional items are used to better understand the type of people that are visiting our site, to ensure we maintain an offering that appeals to the conference’s target audience. Social sharing. On some of the pages of the site you may have the option to ‘Share Content’ via social media. These enable users to share or bookmark the web pages. In order to implement this service, and connect them to the relevant social networks and external sites, there are scripts from domains outside of our website. You should be aware that these sites are likely to be collecting information about what you are doing all around the internet, including on our website. You should check the respective policies of each of these sites to see how exactly they use your information and to find out how to opt out, or delete, such information. External web services. 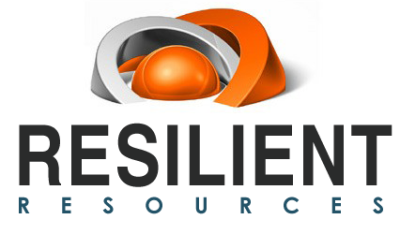 We use a number of external web services on the Resilient Resources Inc. website, mostly to display content within our web pages. For example, to show videos we may use Vimeo and YouTube. As with the social buttons we cannot prevent these sites, or external domains, from collecting information on your usage of this embedded content. If you are not logged in to these external services then they will not know who you are but are likely to gather anonymous usage information e.g. number of views, plays, loads etc. Email tracking. Some emails that we send you have no tracking in at all e.g. service emails. Other emails we send include tracking so that we can tell how much traffic those emails send to our site. We are currently using Mail Chimp as an email service provider. To read about their policies visit, http://mailchimp.com/legal/privacy/.